BUY ANY COCKTAIL/MOCKTAIL AND GET ONE (1) ABSOLUTELY FREE!!! Thinking of a lovely place to relax after work hours? 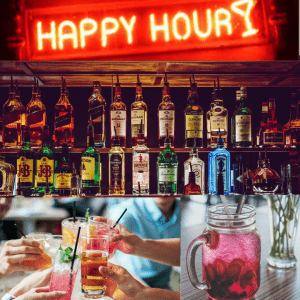 Our Island Bar offers you a serene environment where you can chill with your friends and enjoy our “Happy Hour Specials” and guess what? It runs for two(2) hours! You also enjoy a 25% discount off alcoholic liquors.